IT came as a little surprise when the All Parties Hurriyat Conference chairman Mirwaiz Umar Farooq suggested that India should take a cue from the US-Taliban dialogue and talk to Kashmiris and Pakistan to resolve the “festering Kashmir dispute”. The surprise was that the Mirwaiz, a brilliant Islamic scholar and an affable personality, was drawing parallels between the Taliban-Afghanistan-US axis with that of India-Pakistan and Kashmir — the geopolitical realities are not only different but sit in contrast with each other altogether. The Taliban-US template is the compulsion of Washington, which is under pressure to end the war in Afghanistan. In Kashmir, there is no war but counter-insurgency operations. The only commonality is that Pakistan is deeply involved in stirring trouble in Kabul and Kashmir. Pakistan offered its services to the US for dollars to support the “mujahedeen” to fight Soviet Union in 1970-80s. 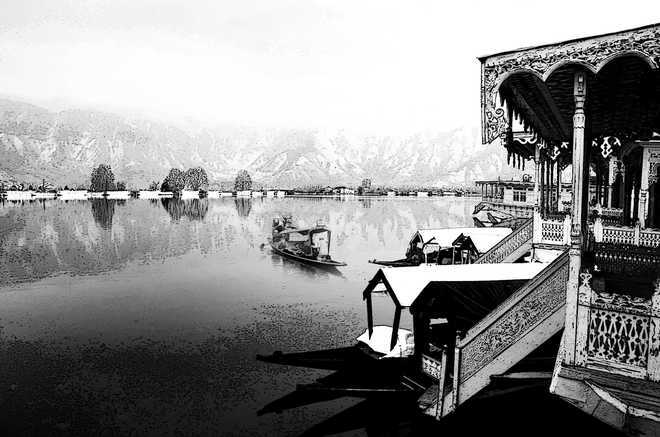 Islamabad diverted the US funds and arms meant for the “mujahedeen” to export armed militancy in Kashmir which, among others, claimed the life of the Mirwaiz’s father Mirwaiz Moulvi Mohammad Farooq in May 1990 and several other leading lights in Kashmir. The Taliban was set up by Pakistan to have its strategic-depth in Afghanistan. In Kashmir, it did the same thing. Its hands are stained with blood in Kabul and Kashmir. A little bit of history for those singing paeans for Pakistan. American troops had started bombarding the Taliban-ruled Afghanistan that had hosted the Al-Qaeda, a global terror network led by Osama bin Laden from October 7, 2001, in less than a month after the gruesome 9/11 terror attack on the US soil. The Americans don’t have any legal, constitutional and ethnic or political link with Afghanistan. The geographical, ethnic and political demography of Afghanistan is quite challenging for Americans, and many of these challenges have been increased by Pakistan that, as usual, is playing a double game with Americans and Afghans alike. In the speed and thickness of the denial mode of Pakistan and its apologists, an undeniable fact is that there is an unbreakable bond between Kashmir and India, constitutionally and legally. The state’s last king Maharaja Hari Singh had signed an instrument of accession with India and asked for Indian help to repulse the Pakistan-sponsored tribesmen’s invasion that had wreaked havoc in the state. Those justifying the tribesmen’ raid as indigenous rebellion are treating the historical facts with contempt. Undoubtedly, there is a need for talks for peace. This plea would sound credible only if the protagonists could tell Pakistan to stop its terror machinery in Kashmir. That requires moral and political courage. That is neither visible nor audible.